The Colorado Parks and Wildlife Commission said Thursday it would reverse a ban on paragliding off of Smelter Mountain in Durango if public safety concerns can be resolved. The prospect of paragliders being allowed to once again launch from Smelter Mountain cleared a major hurdle Thursday, but that doesn’t mean glider pilots will be taking to the skies above Durango just yet. 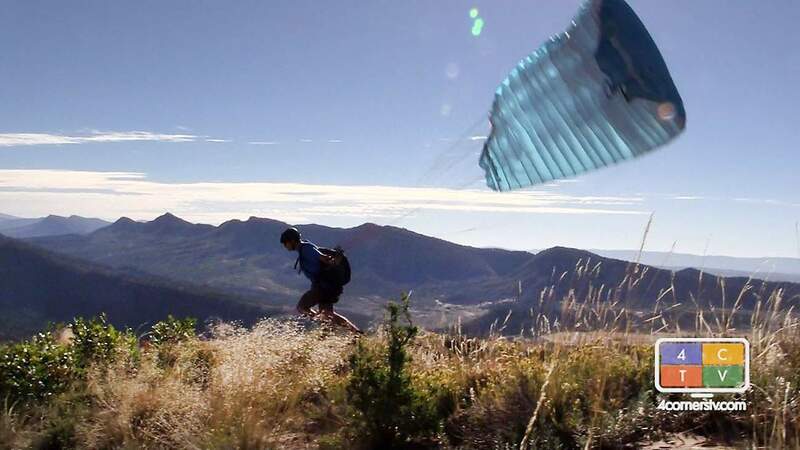 At its monthly meeting in Denver, the Colorado Parks and Wildlife Commission gave unanimous support to allowing paragliders to take off from the top of Smelter Mountain, which is located on a sliver of the Bodo State Wildlife Area. However, commissioners said before they’ll formally reverse a ban on paragliders that was enacted in 2010, members of the paragliding community must work out public safety issues raised by local agencies. 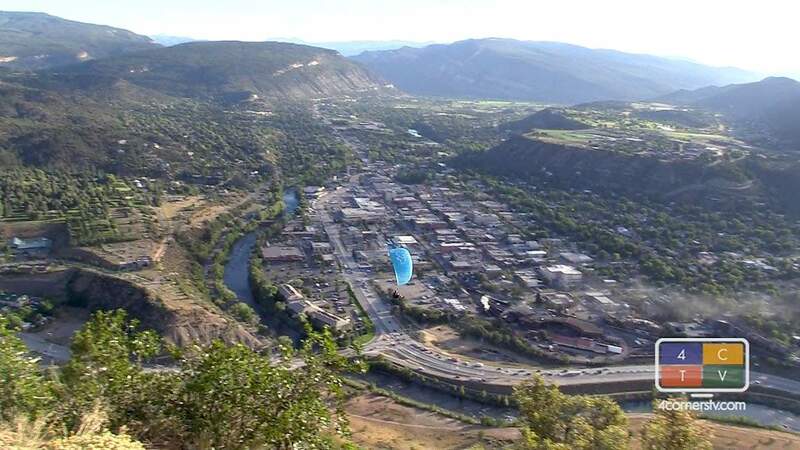 Since at least the 1980s, paragliders would launch from the top of Smelter Mountain, on the southern edge of Durango, to take to the skies above town, landing in an area below the mountain that’s now an off-leash dog park. But in 2010, then-Durango Police Chief Jim Spratlen asked Colorado Parks and Wildlife to prohibit all aircraft, including paragliders and hang gliders, from being able to launch from the area based on public safety concerns. Namely, Durango police were concerned the sight of paragliders in flight would distract drivers, especially along the heavily trafficked U.S. Highway 550/160 corridor, increasing the chances for accidents. Authorities have also expressed concern about the launch site being adjacent to the region’s public safety communication towers, as well as towers for radio and broadcasting. The Durango Police Department’s request had a twofold effect: not only did Colorado Parks and Wildlife ban paragliders from Smelter Mountain, it instituted a statewide ban on all aircraft taking off from any state wildlife area. Recently, Durango resident and licensed paragliding pilot Randy Hughes petitioned the Colorado Parks and Wildlife Commission to reconsider the ban at Smelter Mountain, arguing that paragliding off the area had occurred for three decades with little to no conflicts. Officials with Durango police were not present at the Denver meeting, but they submitted a letter of opposition, along with the La Plata County Sheriff’s Office and Colorado State Patrol, citing their previous concerns. From the Colorado Parks and Wildlife Commission’s perspective, however, paragliders using the area wouldn’t have any significant impact on wildlife, and therefore, it seemed reasonable enough to reverse the ban. At nearly 3,000 acres, Bodo State Wildlife Area’s primary purpose is to provide important winter range for deer and elk. As a result, the area is closed to users from Dec. 1 to April 15. However, the trail paragliders would use to access the launch site is open year-round, though in the winter, the path is open only from 10 a.m. to 2 p.m., with dogs prohibited. And, the trail is on a steep grade that follows the eastern edge of the wildlife area. When questioned by the Colorado Parks and Wildlife Commission, Patt Dorsey, southwest regional manager for the agency, said she was unaware of any documented concerns or incidents involving paragliders at the site. The commission directed Colorado Parks and Wildlife staff to work with paragliders and local authorities to work out these concerns. If an agreement is reached, the Colorado Parks and Wildlife Commission said it would formally reverse the ban. Would you like to see the paragliding ban on Smelter Mountain lifted?